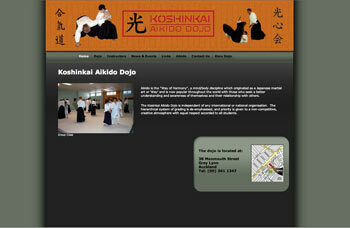 The Koshinkai Aikido Dojo in Auckland, New Zealand is independent of any international or national organisation. The hierarchical system of grading is de-emphasised, and priority is given to a non-competitive, creative atmosphere with equal respect accorded to all students. Aikido is the "Way of Harmony", a mind/body discipline which originated as a Japanese martial art or 'Way' and is now popular throughout the world with those who seek a better understanding and awareness of themselves and their relationship with others.